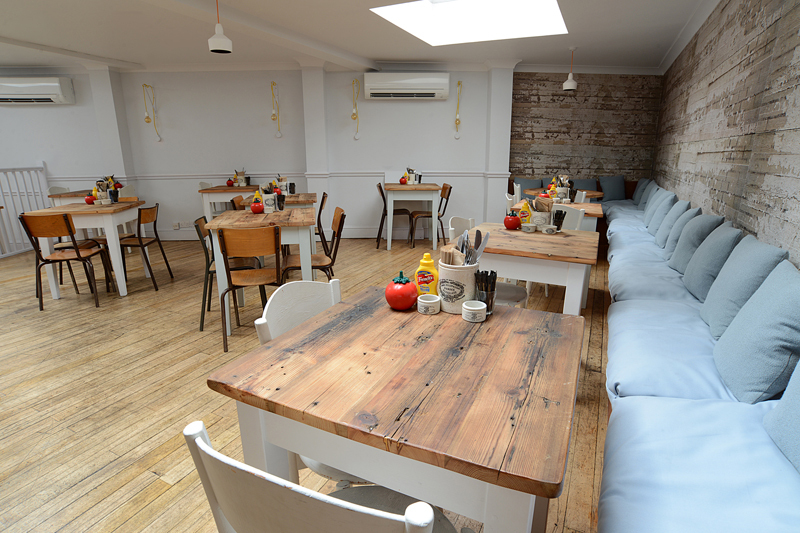 You are here: Home > Latest Reviews & Features > Co-Working @ Ben’s Canteen. Co to work closer! 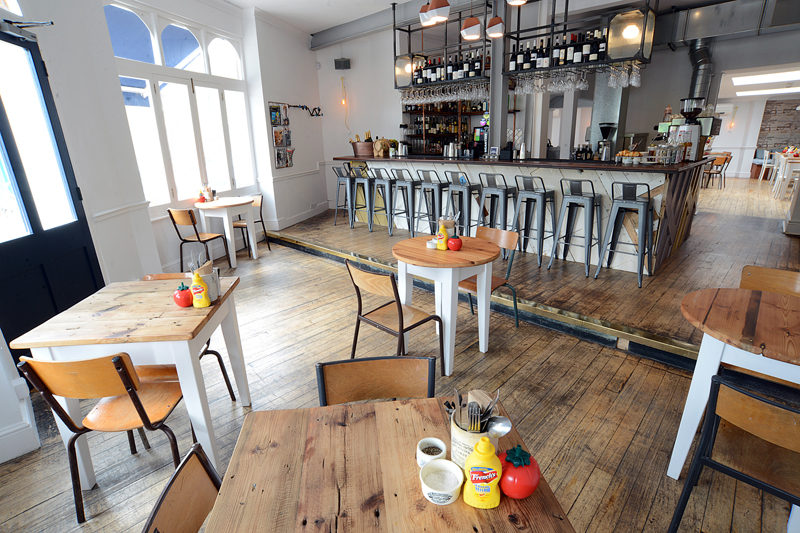 Co-Working @ Ben’s Canteen. Co to work closer! Being a paid-up member of WeWork, I know that many of us are now using co-working spaces. This is either to give more flexibility in jobs which require us to be in multiple locations, or as in my case as I work for myself, giving us a gap between work and home. 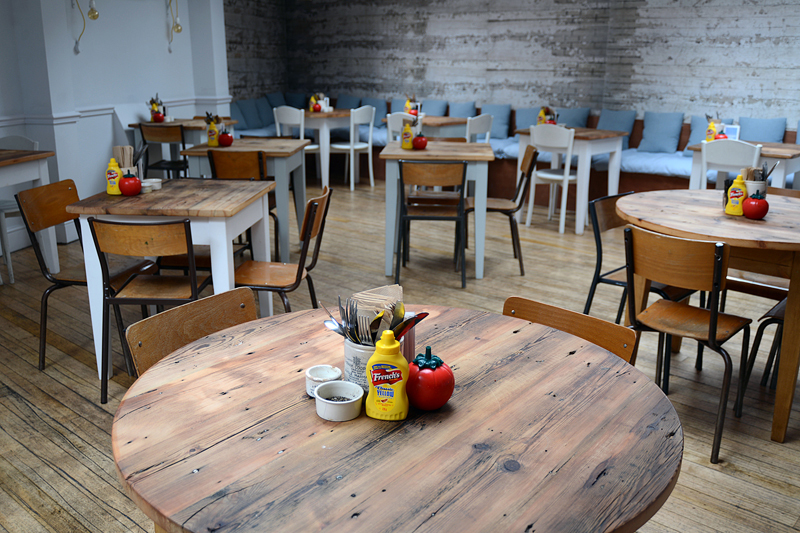 South West London is definitely a nexus for such independent working, and so I was intrigued to be told about a new venture from local brasserie Ben’s Canteen, Ben@work aiming to bring co-working to Earlsfield. Ben’s itself would seem to be the ideal location for this, with its light & airy atmosphere, coupled with plenty of space and power points it already looks a lot like the WeWorks and Office Groups that it’s seeking to emulate. I’m pretty local to Ben’s and so I thought that in the spirit of supporting local businesses I’d join up and give it a go. As well as the co-working there are a number of other benefits to membership. These include a directory for discounted products and services, dedicated events, a lively Slack group and last but not least a 20% discount card for food and drink. So far so good, but what is it like to work in? Well nothing for it but to try it for myself, and so one random Tuesday afternoon I did just that. First impressions were good, plenty of seating and room available. As importantly there are also plenty of power points. The tables are tables rather than desks, but they are at a height that’s comfortable for working, and of course there is free WIFI. There is piped music, but it’s not too intrusive so that you can’t think. Being in a canteen there is food and drink available on all, but even with the 20% discount you do still have to pay for it and could add up over the course of the day if you’re as much of a coffee addict as I am. I came down to complete a particular piece of work, and I’m happy to say I was able to do this quicker and without the distractions that I would have created for myself at home. So how would I rate the experience? Well first the cons, unfortunately access to the co-working isn’t available Monday to Thursday until 10:15 which is rather later than I look to start my day. Secondly you are in a position where you’ll most likely find yourself paying for things, and on top of the monthly fee you could find the cost adding up. Last, it’s convenient for home but not necessarily for meeting clients. Enough of the negatives, what of the pros? Well there’s a lot, the benefits over and above the co-working are almost worth the cost on their own. It is competitively priced, and unlike plonking yourself in Pret or Starbucks no one is going to make you feel guilty about not buying anything. Finally, it is close to home and provides a great alternative location to go to when working on some particularly knotty problem. My conclusion is that this is a great idea, and something that will benefit independent workers around Earlsfield. What it isn’t is a dedicated co-working environment and shouldn’t be taken as such, but as a supplement to whatever other arrangements you have, whether that be your living room or an office elsewhere it’s great and I wish Ben@work every success.